Parents normally feel the need to provide well for their kids. For humans, that number of offspring is usually in the single digits, but a naked mole-rat queen can have as many as 900 pups in a lifetime spanning up to 30 years. Naked mole-rats live their lives entirely underground in Africa, digging tunnels in a perpetual search for plant tubers to eat. These bizarre creatures are unlike nearly every other mammal on earth in that the burdens of reproduction and milk feeding of young are placed solely on a single queen and are not shared among the females of the colony. While this system may work well for insects like bees where the young are fed by a horde of workers and nurses, scientists were perplexed as to how this system works for a mammal where one mother must produce milk for her very large brood. Small rodents, like rats and mice, normally produce milk low in water but high in fat and energy. 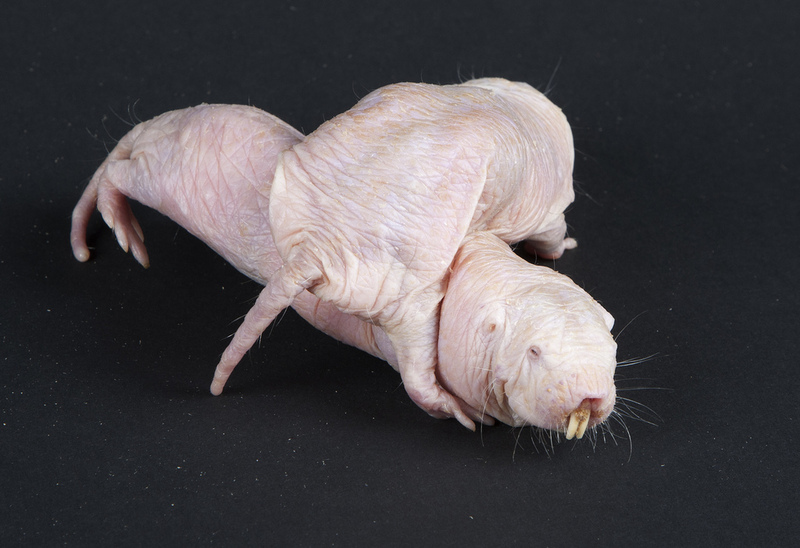 This is what Oftedal and his team expected to find, especially as naked mole-rats have large litter sizes, up to 12 pups, and a short lactation period. Yet that is just what the naked mole-rat queens were doing, producing copious quantities of watery milk. A need for milk containing a lot of water may be explained in part by the hairless body of the naked mole-rat. Although their tunnels are relatively stable in temperature, their thin, naked skin makes these animals highly susceptible to water loss. Adult naked mole-rats have the highest rate of water loss associated with temperature change recorded for any mammal. Oftedal suggests that the hi-or-miss strategy in locating moisture-rich foods may explain the development of the naked mole-rat’s eusocial society, where many non-reproductive workers are needed to search for resources. A typical colony is made up of 300 workers, one to three reproductive males and the queen. But when they find giant moisture-rich tubers, soccer-ball or bigger in size, there is usually more than enough to go around. Invoking images of “James and the Giant Peach”, the little naked mole-rats tunnel through these giant tubers, eating them as they go. The discovery of the naked mole-rats’ unusual milk composition has added yet another curious trait to the already long list of bizarre attributes of this species. However, Oftedal believes there is great value in studying such strange species. 1. Naked mole-rat queens get longer instead of fatter when they are pregnant. The female’s lumbar vertebral column elongates when she is pregnant so that she can grow her 12 pups inside her without getting wider around the middle. Certainly helpful if you live in a tunnel! 2. Naked mole-rats are close to being “cold-blooded mammals.” Unlike other mammals, naked mole-rats have very limited ability to control their own body temperature. Instead, they are reliant on the thermally stable environment of their burrows. 3. Naked mole-rats appear to be able to live without vitamin D. They have no access to vitamin D in the foods they eat and as they never see sunlight they are unable to make their own. 4. 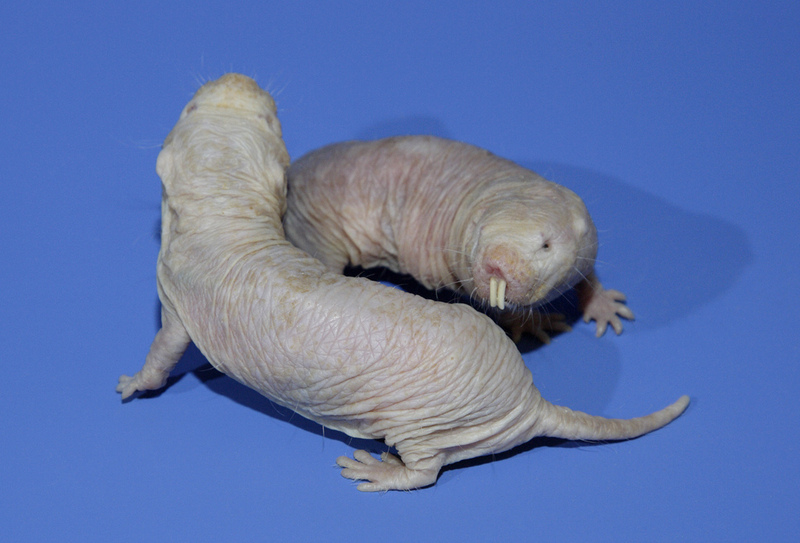 Naked mole-rats can live up to 30 years — 10 times the lifespan of other rats! Journal link: “Milk composition and lactation strategy of a eusocial mammal, the naked mole-rat,” by W. R. Hood, D. S. Kessler and O. T. Oftedal; Journal of Zoology, March 2014.